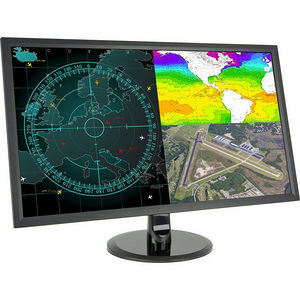 The Planar® IX2850 is a 28" desktop monitor with 4K resolution (3840 x 2160) that delivers an immersive ultra HD experience for the desktop, bringing life to still images and video. With its unbeatable image clarity, flexible connectivity options - including 2 DisplayPort and 2 HDMI video inputs and built-in USB 3.0 Hub, the Planar IX2850 is sure to impress. With four times the resolution of full HD, the Planar IX2850 ultra HD monitor delivers life-like picture quality. The Planar IX2850 provides a turn-key solution for applications requiring simultaneous multi-source viewing of critical visual information up to 4K in resolution.